At the 2019 World Games, 37 Motor Activity Training Program (MATP) athletes showed the world that people of all levels of ability can participate and benefit from athletic programs. These athletes came from local centers that provide services for people with severe or profound disabilities. Once the competition started, they walked around and commentated on the action on the court. Athletes competed in exercises in mobility, striking, throwing, kicking, and wheel chair movement (manual and electric). MATP is designed for athletes with severe or profound intellectual disabilities, including athletes with significant physical disabilities who are unable to participate in official Special Olympics sport competitions because of their skill and/or functional abilities. It prepares them for sport-specific activities appropriate for their abilities. 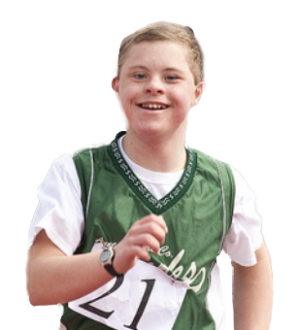 Unlike other Special Olympics competitions, athletes do not compete to win. Instead, the emphasis is on the last part of the Special Olympics Athlete Oath: being brave in the attempt. By being in the stadium, these athletes were bravely competing to do better than they performed last time. "Sport gives us a place to belong and to develop skills we never knew we had… MATP is such a good example of the real meaning of inclusion."